Heat Rocks had always planned to sit down with DJ Lynnée Denise, an LA-based DJ and music scholar, but when Aretha Franklin passed on August 16th, we invited her to come talk with us about the Queen's life and legacy as part two of our series Women Behaving Boldly. Admittedly, Queen Aretha's discography is too vast and too fire to be discussed on just one show so we cherry picked our favorite heat rocks: Oliver (The Queen in Waiting - The Columbia Years), Morgan (Rare & Unreleased Recordings from the Golden Reign of the Queen of Soul) and DJ Lynnée Denise (Young, Gifted and Black). The three of us, brought together by a shared love and reverence for the Queen talked about her incredible voice and gift of interpretation and DJ Lynnée unpacked the Aretha's relationship with the church, with Detroit, with her instrument(s), with black folks and of course, her place in the canon of music. Heat Rocks is thankful for an opportunity to spend an hour talking about the undisputed Queen of Soul Aretha Franklin, with DJ Lynnée Denise who dropped some nuggets of wisdom on us. "Soul Survivor: The Revival and Hidden Treasure of Aretha Franklin"
With George Michael "I Knew You Were Waiting for Me"
It’s time, once again, to start deleting programs from our DVRs to make room for new ones. It's almost fall, y'all, which means award shows and the arrival of new network comedies, dramas, dramedies, and what have you. Sooooo Guy Branum, Karen Tongson, and Wynter Mitchell let us in on all the films and TV shows they're most excited about this upcoming season. Rocketeers, this here preview is the closest most of us will get to an actual harvest. The guys pick over the latest crop of entertainment offerings, including the Murphy Brown reboot, the end of Big Bang Theory, American Horror Story's upcoming convergence of its former Murder House and Coven seasons, the Italian supernatural horror film Suspiria, buzz around Lady Gaga's performance in A Star is Born, and Chloë Sevigny's disappointment over the toning down of the "smash the patriarchy" vibe in her new biopic Lizzie, about Lizzie Borden, notorious for killing her parents with an axe in 1892. Karen is all about the actor Geoffrey Owens, who played Elvin on The Cosby Show, talking to Robin Roberts on Good Morning America about work, labor shaming, and the false idea that some jobs carry more dignity than others. Wynter is all about Succession, which is HBO's new drama loosely based on Rupert Murdoch and his family. Guy is all about Support the Girls starring Regina Hall. Wynter - Ariana Grande - R.E.M. Karen - Genesis- That's All. 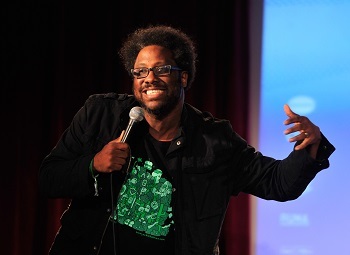 W. Kamau Bell on his television show "United Shades of America"
W. Kamau Bell is a stand-up comic with a handful of albums and specials to his name. He's hosted not one but two TV shows. In 2012, he landed a television show: “Totally Biased with W. Kamau Bell.” "Totally Biased" was kind of a hybrid between a political satire show and a talk show. And although he was the show's star, Kamau preferred to put the spotlight on his guests and just ask the questions--funny and serious both. His latest show is the Emmy award-winning "United Shades of America" on CNN. It's up for another Emmy this year in the "unstructured reality programming" category. "United Shades" is basically a show about nuance, and about asking tough questions. "United Shades of America" is available to stream right now on Hulu. This week, Kamau discusses his relationship with the South, his childhood, why he loves the television show "Doc McStuffins," and what it was like to be the son of Walter Bell, who served as Alabama's Insurance Commissioner. Plus, why he's really proud of his latest show "United Shades of America." Mike Pesca on his new book "Upon Further Review"
What if baseball teams only played once a week? What if Title IX never was? Or if basketball rims were smaller than basketballs? Those are a few of the excellent questions posed in the book compiled by Mike Pesca: "Upon Further Review: The Greatest What-Ifs in Sports History." It's a collection of essays from over 30 different writers - people like Robert Siegel, Nate DiMeo, Jesse Eisenberg and more all asking - then answering, thoughtfully - hypothetical questions about sports that range from the trivial to the existential. Mike Pesca was a sports reporter here at NPR for a time and still contributes every now and then. He also hosts "The Gist," a daily podcast over at Slate, where he covers the news of the day. 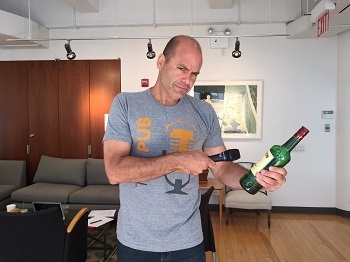 But most importantly: Mike Pesca loves a good hypothetical, and to argue about it – exploring every possible outcome. Mike Pesca will talk about his new book, what it was like working for NPR as one of two sports reporters, how he keeps up with the news for his daily podcast, and how his Long Island accent impacted his work in radio. Plus, what it was like to guest host "Wait Wait … Don't Tell Me" and the outcry he faced when he interviewed Kim Kardashian West when he hosted. 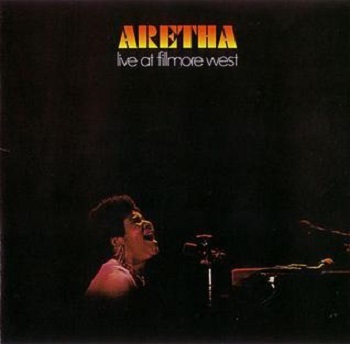 For this week's Outshot Jesse breaks down "Aretha Live at the Fillmore West." This was the second live album by Aretha Franklin recorded in the spring of 1971 in San Francisco. Warning! We recorded this episode earlier in the week before the passing of the great Aretha Franklin. We mean in no way to pay disrespect, and pay great homage to how she pathed the way for future generations of black artist and people to live their truth. Off the bat the wonder twins talking about the queen of soul herself, Aretha Franklin, sending prayers for her and talking about some of her past controversies. James saw Spike Lee's newest film Blackkklansman and give a spoiler free review. In Nnekay's korner- she's got a booklist for you! This time she is giving you books from Latin American literary cannon that will help you diversity the American one. Also she had some selections from WOC writers to diversify your reading list and possibly some of your loved ones, to boot! In James' korner, he is give you THEATER- by way of teleplay! That's right we have the Minority Korner players in the house. Playing out selections from the 1984 James Baldwin Village Voice interview. James playing James Baldwin and Nnekay playing the interviewer. The interview covers the James Baldwin's views on homosexuality, the black community, the future, and more. It's a deep insight into his thoughts on the LGBTQ community in the 80s.